I guess being obsessed with squash isn’t the worst problem to have. I hoard squash, all varieties. Currently, four types of squash, which I purchased at the Riverview Fiske Farmers Market, are taking up prime real estate on my kitchen counter, waiting to be prepared into something delicious: sugar pumpkin, kabocha squash, butternut squash, and acorn squash. For each squash, I know exactly how I would like to eat it. Furthermore, I know how I’d like to showcase each type of squash in vegan-friendly, festive dishes that could easily rival turkey on the Thanksgiving table. 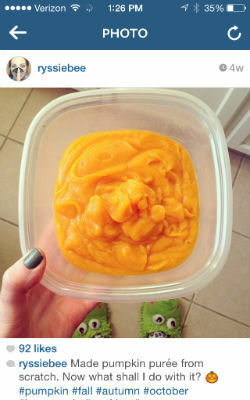 My favorite thing to do with sugar pumpkin is make my own pumpkin puree. Purchasing canned organic pumpkin puree does the job when I’m in a pinch, but nothing rivals homemade. First, pre-heat your oven to 400 degrees. Next, cut the sugar pumpkin in half. Scoop out seeds and save for roasting. Place both halves, cut side up, on a baking sheet. Roast the pumpkin for about a half hour, or until you can easily pierce the flesh with a knife. Cooking times may vary depending on the size of the pumpkin. Let the pumpkin cool then peel off the skin. Place the flesh in a high-powered blender (I use Vitamix for amazing results) and blend until smooth. Use the puree immediately in smoothies, cakes, pies, brownies, vegan Alfredo sauce, or breads. Or, freeze for later. Eating kabocha squash always reminds me of healthy, macrobiotic-inspired meals I’ve had at restaurants like Souen in New York City and Cafe Gratitude in Los Angeles. You’re probably thinking: kaboch-what? macro-who? Allow me to explain. 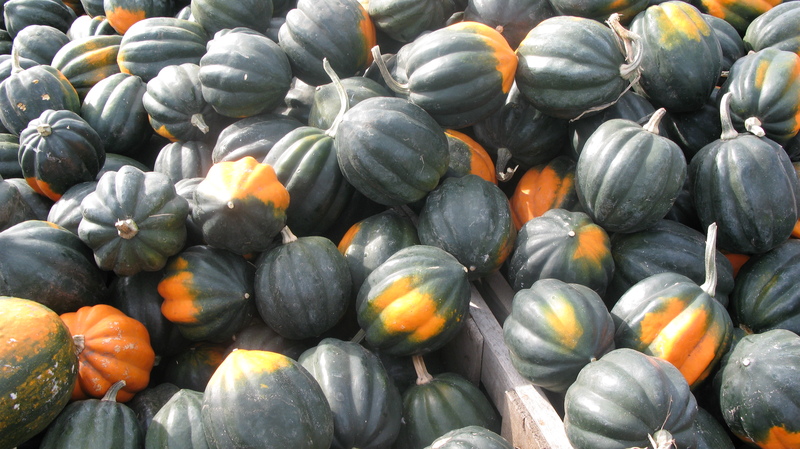 Kabocha squash is an Asian variety of winter squash with a dark green skin and a golden flesh. According to Wikipedia, it’s “similar in texture and flavor to a pumpkin and a sweet potato combined.” Followers of the macrobiotic diet eschew processed foods and most animal products; the staples of a macrobiotic diet are grains, like quinoa, and vegetables, especially squashes and dark, leafy greens. 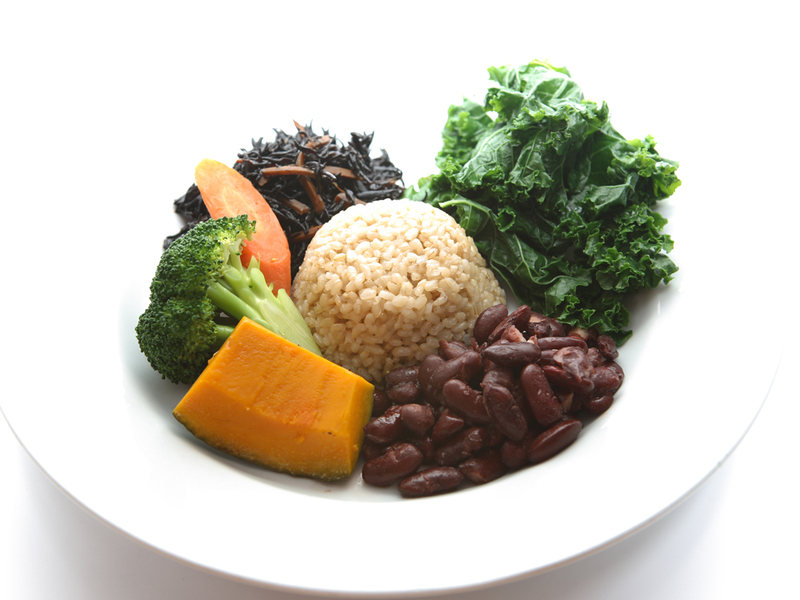 One of my favorite ways to enjoy a macrobiotic meal is by ordering a bowl, which will usually consist of quinoa or brown rice, kabocha squash, seaweed, kale, beans, and possibly avocado. In my opinion, the best way to enjoy butternut squash is in soup form. This squash has a natural sweetness and becomes very creamy when pureed in either a regular blender or with an immersion blender. Of the four squashes, acorn squash is the cutest because it really does look like an acorn. I love stuffing acorn squash because, cut in half, it’s the perfect bowl-like size and shape! First, create a mixture to use as a stuffing: I like cooked quinoa, dried cranberries and raisins, scallions, walnuts or pecans, sauteed onions, and sauteed, shredded kale. However, you can really let your imagination run wild with the possibilities. After cutting the acorn squash in half, scoop out the insides and fill each half with your stuffing. Preheat the oven to 400 degrees and roast the squash until fork tender. Additionally, you could drizzle the acorn squash with your favorite sauce; I recommend lemon tahini. 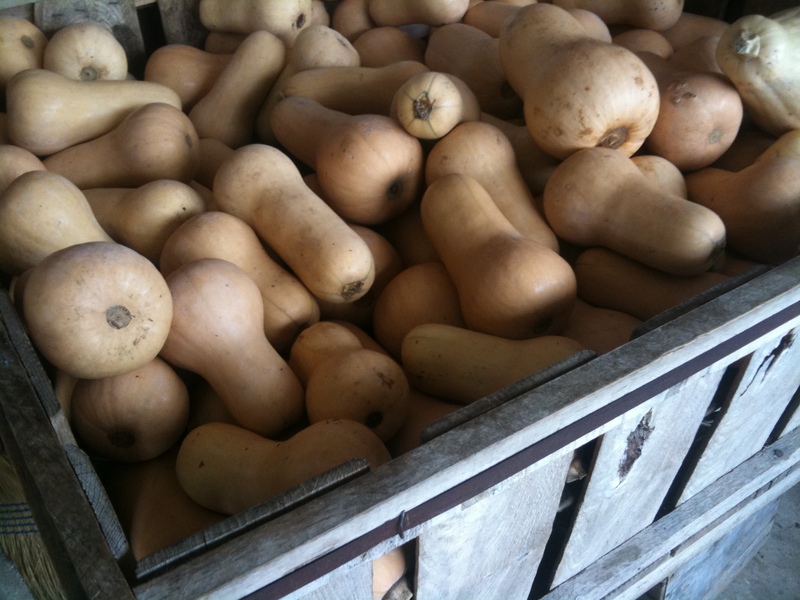 How do you like to prepare and eat squash? What’s your favorite variety?